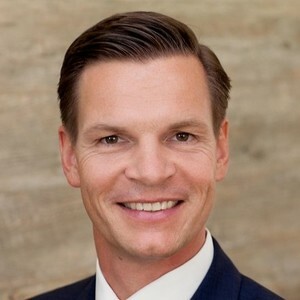 A summary of the Frankfurt Chapter Meeting on December 7, 2017. On December 7 we had our second FEM Frankfurt Chapter Meeting of 2017. 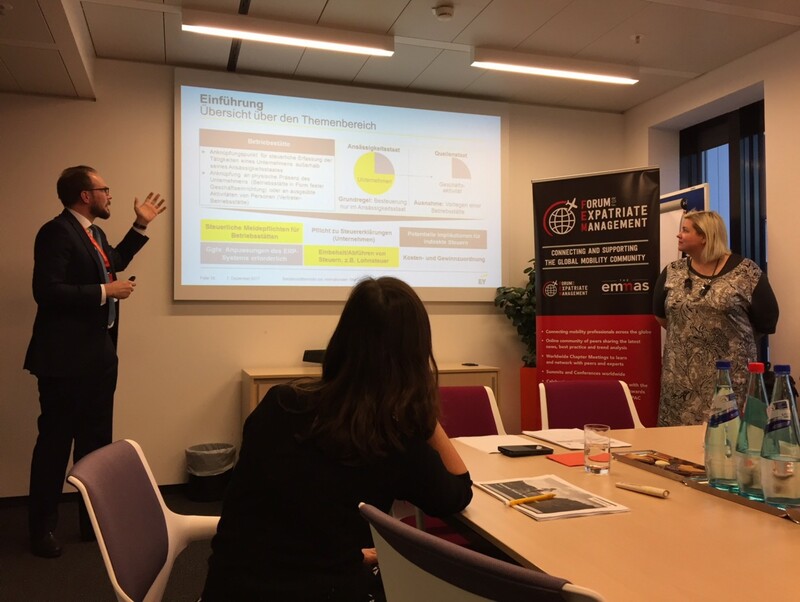 Approximately 30 Global Mobility professionals discussed the impact of permanent establishments for global mobility with our presenters, Frank Jura, Melanie Heithausen and Marco Heuer from EY and a corporate guest speaker. 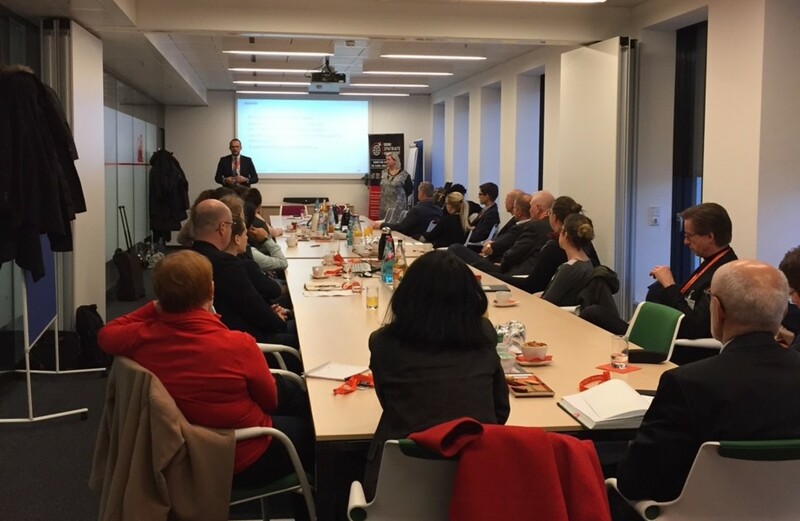 Before our corporate guest speaker gave some interesting practical insights into the topic “Business Travel to HQ”, Melanie Heithausen and Marco Heuer gave some introductional information on permanent establishments such as its definition and potential strategies to ensure compliance in organizations. We had many valuable and great discussions and received very positive feedback about this event from the participants - many thanks to the audience and the speakers. We would like to invite you to participate in one of our upcoming events. Schedule for 2018 will be announced soon on the FEM Frankfurt page.